Herbert Spencer and the atomic/ molecular sequence of co-existences explained with the Naval Research event of the U.S.COLE. | Herb Zinser - the Symbolic Army of nouns, math equations, chemistry molecules. Herbert Spencer and the atomic/ molecular sequence of co-existences explained with the Naval Research event of the U.S.COLE. Let's look at a periodic atomic table .... atomic mass ...... MASS communications message from year 1855. In year 1855, mass communications was the publishing industry with newspapers, books, and posters. Other forms of mass communications were art museums and music concerts. They attracted large groups of people to see the same, identical message. In year 2013, we have mass communications in additional formats: television, radio, movies, and college textbooks in math and science. Year 1855 --> 1855.85 ---> number 18 and number 55.85 ? Herbert Spencer, The Principles of Psychology [18 55] ... Author: Herbert Spencer .... form links in the correspondence between internal and external changes. The 18 of year 1855 with water molecules within Herbert Spencer and their water molecule output signal 18. The 55 of year 1855 with ferrous oxide IRON atoms in the iron Heme group Fe(ii) ions within Herbert Spencer and their b100d output signal 55. In year 2013 ..... we see the PICTURE format of Nature's trival , unimportant signal at Fe = Ferrous oxide atomic world headquarters named Fe = FermiLAB with the water molecule display ..... thus a communications string .... the LINK to year 1855. ... its self-balancing perturbations, that it, also, exhibits co-ordination of actions. ... successive, in correspondence with external co-existences and sequences. in correspondence with external co-existences and sequences. By Spencer, Herbert. Spencer ... is the increasing distance at which co-existences and sequences in the environment produce adapted changes in the organism. The correspondence as direct and homogeneous. To bring into existence. ... is produced by the action of an agent or a cause and follows it in time: "Every cause produces more than one effect" (Herbert Spencer). 2) President Nixon and the Watergate DEMO and Nature Darwin selection of a site with recognizable proper noun identifiers ... the DEMO Party headquarters of the Democrats. 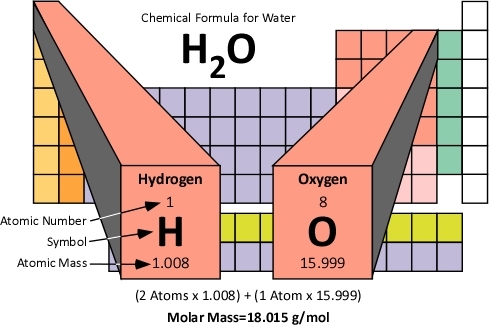 Water molecules are major component of humanoid biology. Thus they are..... EARTH LAB water molecule specimens with interesting molecular political science rituals and expressions. President Nixon ...Watergate and the IRON Curtain. 5) Cole Hall oceanography/ geology classroom shooting with human of POLE heritage (Steven K.) representing the ROPE theory physics of euROPE and the Polish IRON shipyards and the Solid STATE physics project involving the Solidarity movement. Let's look at the chain-of-events caused by the incomplete reports about the U.S.S.COLE incident. The chain-of-events ---> a sequence of co-existences ........ a process known since the year 1855 explanation by Herbert Spencer. see Herbert Spencer ..... to the minimal functions of the enforcement of contracts and external defense. ..... Remarks on Spencer's Definition of Mind as Correspondence (1878) by William James. the enforcement of contracts ( the water molecules of EARTH oceans and the sodium chloride SALT treaty of SALT WATER with the puppet string theory physics YES-MEN mentality of the United States Navy .... Nature's contract enforcement and external defense signal in the Ye-man incident at the salt water I/O processing PORT of Aden ..... near the Computer EARTH system 370 geography surface I/O region = Input/Output --> I/O = Indian Ocean and its attached I/O PORT at the Aden. co-existence and sequence; and that therefore social phenomena form the ... The Saturday Review noted that Spencer had "collected a great mass of scattered ..
... and successive, in correspondence with external co-existences and sequences.‎ .... A: Herbert Spencer is the author of "The Principles of Psychology" . Chapter V: INK Pen Correspondence Between Life and Its Circumstances. Let's look at the empirical data message EVENT ..... that provides information for theortists interested in Herbert Spencer and the Grand Unified Theory of existence and Einstein's data processing DATA FIELD theory applications. c) Ocean/geolfy class YES MEN and Co --> Cole Hall with Pole Steven K. and the iron shipyards of the SOLID STATE physics project of the Solidarity movement in the POLAND subset region of ROPE theory of eu.ROPE ... the parallel to North American string theory data generating EVENTS. 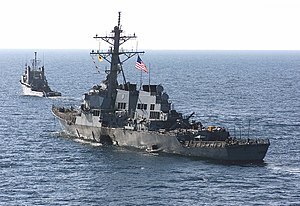 The Military Sealift Command fleet ocean tug towing USS Cole (DDG-67). Thus we have outlinef the co-existence and sequence of events as predicted by Herbert Spencer and the DEATH of Lady Diana Spencer in Paris --> Par + IS = Parallel Information Systems. Jul 29, 1981 - Watch Charles and Diana's wedding from 1981, including the famous kiss on the balcony of Buckingham Palace. into the 11-dimensions of string theory with Sartre existentialism. What mechanism of Nature might help explain the above processes mentioned by Herbert Spencer. One of several mechanism of Nature's military systems (described below) and the U.S.S. COLE data messages to enhance awareness skills. consequently a sequence of events occurred between October 2000 and year 2013. Let's look at the positive side ...... that the information sequence provided by the tragic events has given scientists important data about the fundamental architecture and mechanics of existence on EARTH. Given the initial event of October 2000, let's continue our study of Nature's military expression systems VIA water molecules and their evolutionary extension .... water molecules packaged as humans ..... Natures' version of bottled water. Humans are composed of molecules supplied by Nature's systems engineers ..... that engage in physical biology engineering, brain engineering, human behavior engineering, thought engineering, English language symbols engineering, science equations and formula, and social engineering. These various projects of Nature are applied to experimental subsets of human. Actual testing is common science lab protocol ..... Nature uses EARTH LAB with humans and human groups. Let's look at a chemistry molecule expression FORMAT ---> social chemistry and molecule social engineering ERROR signals. A covalent bond is the chemical bond that involves the sharing of pairs of electrons between atoms. The stable balance of attractive and repulsive forces between atoms when they share electrons is known as covalent bonding. For many molecules, the sharing of electrons allows each atom to attain the equivalent of a full outer shell, corresponding to a stable electronic configuration. 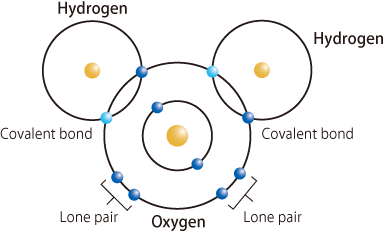 In the molecule H2, the hydrogen atoms share the two electrons via covalent bonding. Covalency is greatest between atoms of similar electronegativities. Thus, covalent bonding does not necessarily require the two atoms be of the same elements, only that they be of comparable electronegativity. Although covalent bonding entails sharing of electrons, it is not necessarily delocalized. The term "covalence" in regard to bonding was first used in 1919 by Irving Langmuir in a Journal of the American Chemical Society article entitled "The Arrangement of Electrons in Atoms and Molecules". Langmuir wrote that "we shall denote by the term covalence the number of pairs of electrons that a given atom shares with its neighbors." The idea of covalent bonding can be traced several years before 1919 to Gilbert N. Lewis, who in 1916 described the sharing of electron pairs between atoms. He introduced the Lewis notation or electron dot notation or Lewis dot structure in which valence electrons (those in the outer shell) are represented as dots around the atomic symbols. Pairs of electrons located between atoms represent covalent bonds. Multiple pairs represent multiple bonds, such as double bonds and triple bonds. An alternative form of representation, not shown here, has bond-forming electron pairs represented as solid lines. Lewis proposed that an atom forms enough covalent bonds to form a full (or closed) outer electron shell. 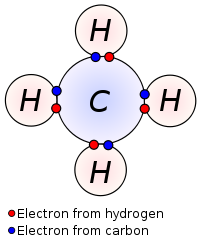 In the methane diagram shown here, the carbon atom has a valence of four and is therefore surrounded by eight electrons (the octet rule); four from the carbon itself and four from the hydrogens bonded to it. 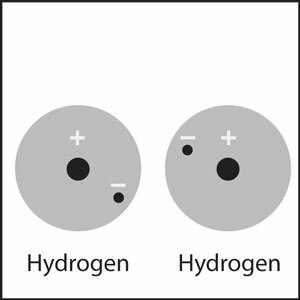 Each hydrogen has a valence of one and is surrounded by two electrons (a duet rule) - its own one electron plus one from the carbon. The numbers of electrons correspond to full shells in the quantum theory of the atom; the outer shell of a carbon atom is the n=2 shell which can hold eight electrons, while the outer (and only) shell of a hydrogen atom is the n=1 shell which can hold only two. 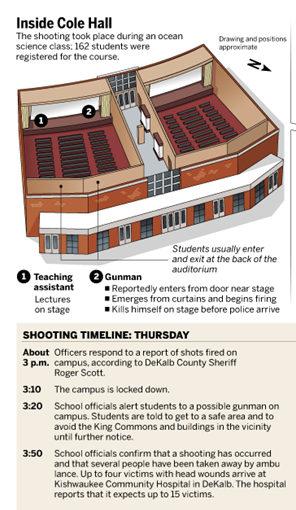 The incident happened at the campus's Cole Hall. At approximately 3:05 p.m. CST, Steven Kazmierczak entered a large auditorium-style lecture hall in Cole Hall (Auditorium 101) with approximately 120 students, where an oceanography class was in session. Thus we see the chemistry molecule expression of anger. What chemistry equation is expressing the anger? That requires a lot more research. An example might be ... the H = hydrogen model ..... with the picture of the building below. left H = Hydrogen and a right H = Hydrogen. When two hydrogen atoms get close enough, the electron from each atom feels an attraction from the proton in the other atom's nucleus. This attraction pulls the atoms together. The electrons end up being shared by the atoms in a region around the nucleus of both atoms. Hydrogen atoms are close together. The electron from each atom feels the attraction from the proton in the nucleus of the other atom. This attraction pulls the atoms together and the electrons are shared by both atoms. The atoms bond because there is a strong enough attraction in both directions and room for the electrons in the outer energy level of the atoms. Let's look at the molecule SIGNAL evolution. We started with the cement/concrete/brick building known by proper noun: Cole HALL. This univeristy buildng in DeKalb, Illinois can be theoretically seen by the UNIVERSE view of EARTH .... as EARTH LAB and a chemistry lab ... in physical chemistry and social chemistry. The university buiilding from the Milky WAY universe view point (like a NASA astronaut's VIEW of EARTH)........ looking at the university structure ... sees the building is comprised of 2 H --> 2 school classroom lecture HALLS. Nature's SYMBOL PROCESSOR can equate these 2 lecture Halls to H = Hydrogen (that is ... Cole HALL is the larger scale model, the amplified version of hyfrogen atom). Thus the perception process provided by NATURE ...... Hydrogen atoms VIA the more visible, obvious .... eye/optical image of the cement/ conrete Hall model ..Cole Hall. Covalent Bonding in Water I ---> oceanography class was in session. When two hydrogen atoms and an oxygen atom get close enough, the electron from each atom feels an attraction from the protons in the other atom's nucleus. --> the COLE Hall oceanography classroom for U.S.Navy intellectuals regarding the U.S.S.Cole of October 2000 and their university THINK TANK errors in the simple explanation. Hydrogen atoms and an oxygen atom are close together. Electrons from each atom feel the attraction from the protons in the nucleus of the other atom. The above water molecule ..... is shown below ... in the WATER geometry using the concrete/cement model of the univeristy campus builfing Cole Hall. Above, we had the H and H symbols of the Hydogen atom represented in physical FORMAT VIA the larger sized ..... cement/concrete/brick builkfing lecture HALLS ..... lecture HALL 1 and lecture HALL 2 of Cole Hall. Tto complete the water molecule design configuration ... we need an O = Oxygen .... a cirlce or round shape near Cole Hall. The picture below shows the O = Oxygen patallel in the round driveway /walkway in front of the COLE HALL building ( the Hydrogen Halls). The oceanography class provides additional information about the super-symmetry physics parallel of this situation. Parameter definition, a constant or variable term in a function that determines the ... define a system and determine its behavior and are varied in an experiment. The final quarter of our ongoing physics series with Leonard Susskind is devoted to supersymmetry, grand unification, and string theory. This course was ..
Atomic Structure. What is a Water Molecule? 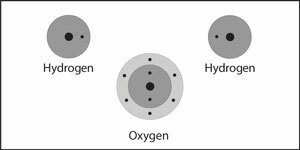 Oxygen and hydrogen are both non-metals. Thus we have some CLUES to the deepr levels of REALITY underlying the event. We see the important relationship beween different levels ...different perceptions of REALITY ..
the water mocule in a chemistry LAB glass container ..... and the super-symmetry WATER molecule architecture of the Cole HALL building and driveway ...... designed by humanoid architects that are really water molecule extensions in a dermatolgy skin package. Thus we see these water molecule HUMANOIDS express the primordial water moelcule instincts in their subconscious mind that rose to a LEVEL of conscious expression and display VIA the Cole Hall architecture layout. Now let's look at the astrophysics VIEW of the UNitred States geography regions and its universities, campus buildings, Nature's SYMBOL MACHINEs that use English language alphabets and periodic atomic table symbols, college textbook information formula, humnan activity, etc . THe astrophysics VIEW (like a NASA astronaut in a space station) sees EARTH and see the building below ...with the O = Region of Convergence (ROC) as used in signal processing analysis. THus the SYMBOL MACHINE analysis of cement/concrete building label: Cole Hall and the O of the cement /concrete driveway gives ---> CHO. Astrophysics chemistry sees symbol CO --> CO.valent social chemsitry bonf at new technology site ...DARPA virgin science at Virginia TECH ...and sees a MR,CHO........ Nature's Darwinianian selection of a covalent bond partner to complete the connection beween the 2 educational institutions. The Virginia Tech massacre was a school shooting that took place on April 16, 2007, on the campus of Virginia Polytechnic Institute and State University in Blacksburg, Virginia, United States. Seung-Hui Cho, a senior at Virginia Tech, shot and killed 32 people. two separate attacks, approximately two hours apart --> data that helps describe the covalent bond of the 2 schools at 2 different levels of Sartre existential expression. while covalent bonds form when electrons are shared between two nonmetals. Introduction to Covalent Bonding: Bonding between non-metals consists of two electrons shared between two atoms. Using the Wave Theory, the covalent bond at the Cole Hall oceanography WAVE class and EARTH harmonics location ....wave ,,,, geo-physics and and string theory language/symbol of NODE --> NO + DE ---> Northern DeKalb. Northern Illinois University, Cole Hall DeKalb Feb 2007 .
transformed to ----> EVENT HORROR that rises up and displays a tragic message. We ought try to understand the SIGNAL about existence and the conflicts among dimensions in our atomic/molecular daily lives. Astrophysics VIEW of EARTH and the water molecules ..... continuum: oceans, lakes, people, Navy, ocean class, hydrology,etc. Given the outline above, we see that the architecture of existence on EARTH is very complex and compose of a wide variety of objects and formats and expressions. Thus EARTH space / time contains many physical things: people, buildings , cities, farms, forest,etc. In addition, it now contains symbol buildings: languages for the eye/optical nerve. A college textbook in biochemistry is a symbol building with special words, data, cell process diagrams, flowcharts, etc. Ten thousand years ago the biochemistry molecules existed in physical biology ,,,,, but did not have symbol existence. Thus ...in the last 100 years ..the last 50 years...since 1960 ... these molecules experienced Darwinian evolution into the world of symbols, nouns, flowcharts, etc. Now, in year 2103 we can perceive ...sometimes...that a molecule as 2 identities .... especially since the biochemistry textbooks are emerging into the James Joyce data stream of consciousness ... that influences thought and behavior. Now, the astrophysics VIEW of EARTH is "The Tale of TWO CITIES" ..... physical buildings and symbol.s buildings. 2) The 2nd HALL event CHO occurred on April 16, 007 at Norris engineering HALL with MR.CHO with English language engineering, social engineering, and the Virginia home of the .... Constitution of the UNITED STATES engineering. Thus we see the convergence of these different engineering systems at Norris Hall at Virginia TECH. About two hours after the initial shootings, Cole Hall Oceanography class entered Norris Hall for the advanced hydrology class..
S = sequence Co ...existence ..... Congress ought participate in the sequence of decisons ..... U.S.S Cole, Cole Hall and the Halls of Montezuma signals from Parris IS = Information Systems ISLAND. of the enormous error of Mr. Spencer in calling then abstractions. After this ... 230, " the abstract ol all sequences is Time ; that of all co-existences is Space. Herbert Spencer's Essay: What Knowledge Is Of Most Worth? This article examines dress uniforms, daily service uniforms, working uniforms, special situations, and the history of uniforms of the United States Navy. Oct 30, 2012 - If you enjoyed that episode of Connections back then ....... now in year 2013 ...you can complete the puzzle. You have few CLUES and a tenative outline. You have a few pieces to an interesting puzzle about life and science war expression events on EARTH. The SCIENCE WARS were officailly announced around year 1995 /1996 ... .
Nov 26, 2012 - New York Times columnist Paul Krugman tries to escalate the science wars. The Nobel laureate in economics wonders if a senator's geology . Thus we see EARTH and NATURE and their S.I Hayakawa molecule " Language in Thought and Action". The water molecule continuum MILITARY alliance with IRON ...and the sequence of water/IRON signals to society that converge to FermiLAB and their pond of water in Batavia, Illinois. The Department of Energy has no interest in these types of modern Margaret Mead atomic/molecular expressions ..... that intellectuals we are forbidden to study per secret societies. Welcome to BRAVE NEW WORLD. Year 2013 ...needs BRAVE new thinkers for Grand Unified Theory and the Theory of Everything .... and everything includes YOU.